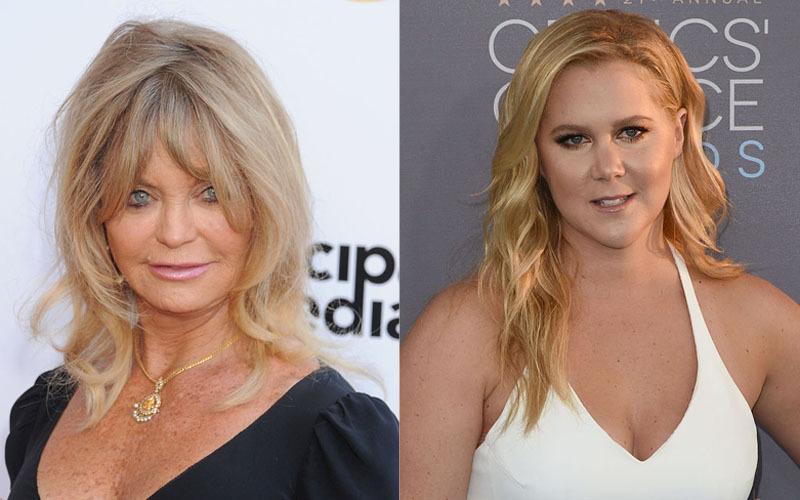 Talk about relationship goals: Goldie Hawn is playing Amy Schumer’s mom in an upcoming movie. Granted, we already love Goldie Hawn for acting as well as her wonderful relationships with daughter Kate Hudson and long-time partner Kurt Russell, but it looks like there might be room for a foster-Schumer in there. Seriously, we ship this so much. The return to the silver screen is especially significant for the Hollywood vet; viewers have had to live without new Goldie for more than a decade as she focused her attention on The Hawn Foundation, an amazing organization that provides social and emotional learning programs for kids. We couldn’t agree more, and can’t wait to see this sure-to-be hilarious duo work some on-screen chemistry. As for the subject of the movie, Goldie gave the world a couple of hints about the upcoming kidnapping comedy. If that innuendo-fueled joke isn’t a sign that the Schumer–Hawn partnership is real, then we don’t know what is. We just wish we didn’t have to wait till the movie comes out for more funnies from the two of them!